Hardwood flooring can make a beautiful statement in your home and increase your property value. With so many options to choose from, the best place to start your search is to learn the basic types, wood species, and finishes available to you. Many different types of wood are used to make hardwood flooring. 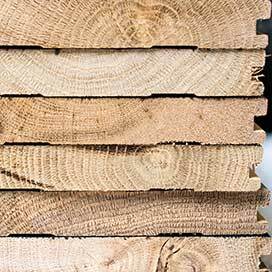 Some of the most popular types are oak, maple, cherry, walnut, hickory, bamboo, and pine. Each type of wood will change the characteristics of the flooring, such as the color, hardness, and grain. There are two types of hardwood flooring to choose from: solid hardwood and engineered hardwood. Solid hardwood, as its name suggests, is made from a solid piece of wood; whereas, engineered hardwood is made from several layers of wood. Solid hardwood tends to be the more expensive option. It can be refinished over and over again and usually lasts for a lifetime or longer. However, it does have some limitations. It can’t be installed in a basement or over concrete. It also is susceptible to water, temperature, and humidity. Engineered hardwood tends to be a little less expensive than solid, but since it is multiple layers of wood, it usually is only able to be refinished a handful of times. It is not as susceptible to water, temperature, and humidity, though, and can be installed in places that solid can’t. When buying hardwood flooring, it can either come prefinished or unfinished. Unfinished flooring will be sanded and finished after installation and is great if you are matching existing hardwood or are looking for a very specific look. Unfinished requires a longer installation period with extra time for the finish to dry between coats. 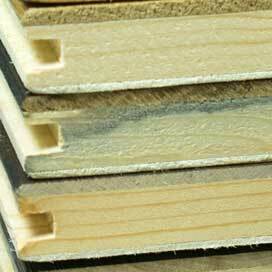 Prefinished flooring has already been finished by the manufacturer and is much faster to install. Prefinished tends to be the more expensive option, however. Hardwood flooring adds a beautiful, timeless look to your home that never goes out of style. Here at Carpet Depot, we want to help you make the best choice for your home, lifestyle, and family that will make you love your new floors. Stop in today to see our selection of beautiful hardwood flooring and get help selecting the best one for you.